One of the many things I love about travelling is the diversity to be found across our planet – diversity of people, language, culture, food, weather and landscape. So often, our food and culture is influenced by the landscape around us. If you are surrounded by sea you will likely eat lots of fish and seafood, if you have boggy earth you will burn turf. 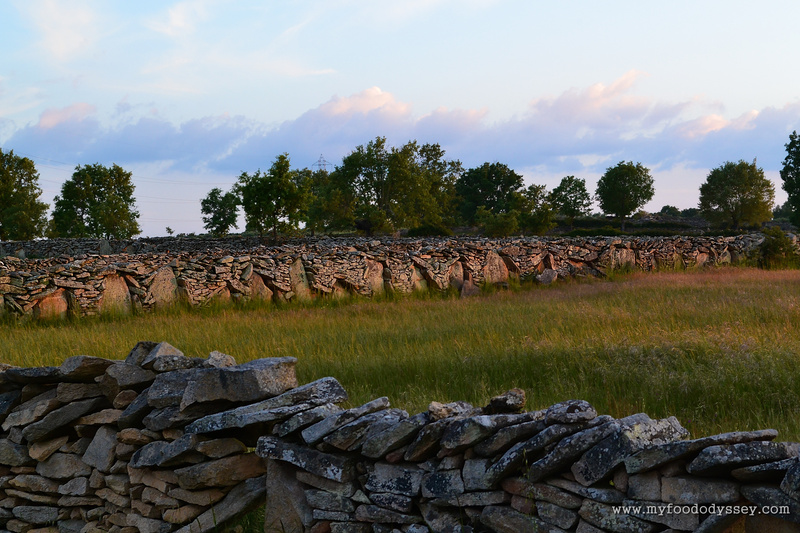 And if you have fields full of limestone, you will build walls. 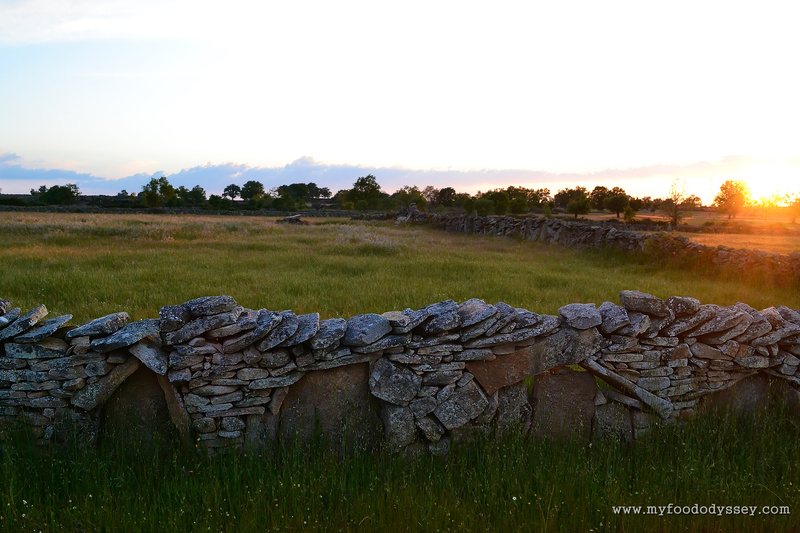 Travelling through northern Spain, close to the border with Portugal, we encountered these stone walls. I was immediately reminded of the stone walls found across the west of Ireland and which I thought were unique to our fair isle. 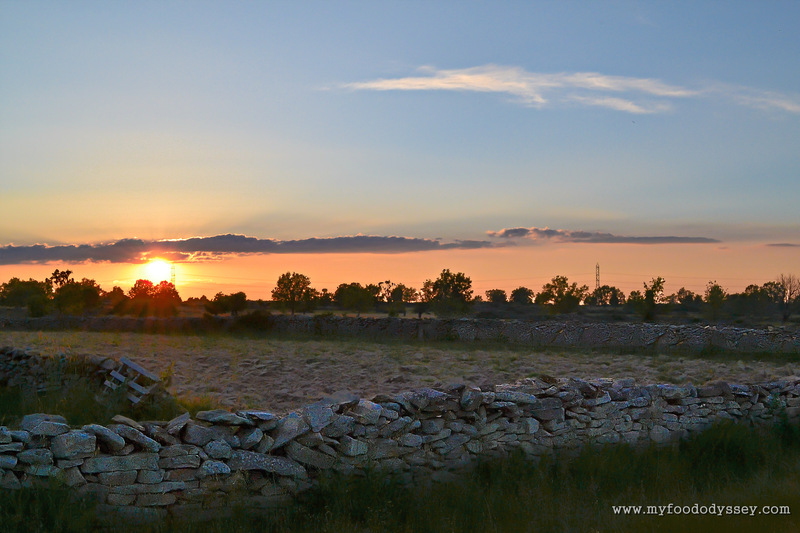 The Spanish construction is a little different – I don’t think I have seen walls constructed around big stones in such a uniform way in Ireland. But the resemblance is striking. Amidst all the diversity there are always similarities. We’re not all that different, really. Like what you see? Then please subscribe to My Food Odyssey. For updates on my daily life you can follow me on Facebook, Twitter and Pinterest. drystane dykes – a lot of hard work to build no doubt! Lovely photos. Drystane dykes was an expression I hadn’t heard before. What a lovely term – you can really hear the Scottish accent as you say it! I’ve got a minor obsession with walls … the Irish exacerbated this many years ago. Now I feel I need to travel to Spain to see these which are different to anything I have ever seen before … I can think of worse fates! Indeed, Osyth – a drive through southern France, over the Pyrenees and across the top of Spain is definitely time well spent! I’m with you when it comes to liking diversity and I make every effort to find it. 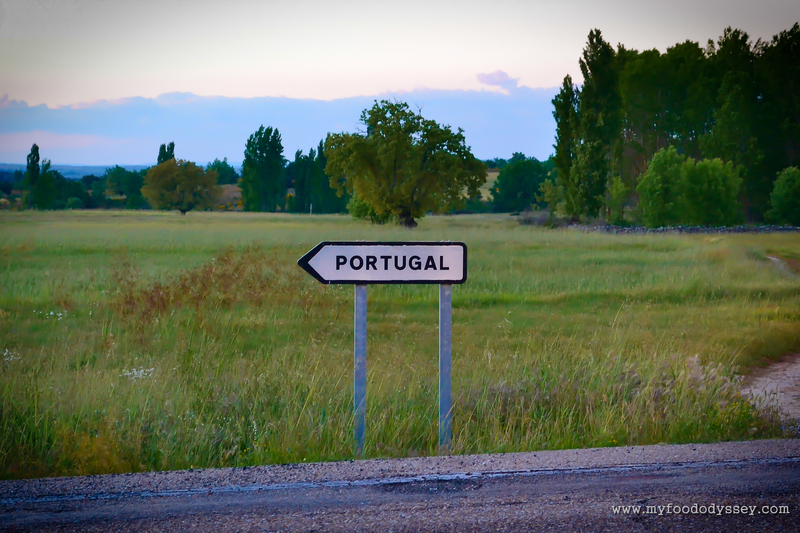 Love the sign to Portugal! I know – it’s hilarious! For a whole new country, just turn here! Lovely walls, and beautiful reflection on how those boundaries do not keep us away from exploring new territory and broadening our creative horizons. Best wishes x SB. Hi, I'm June. 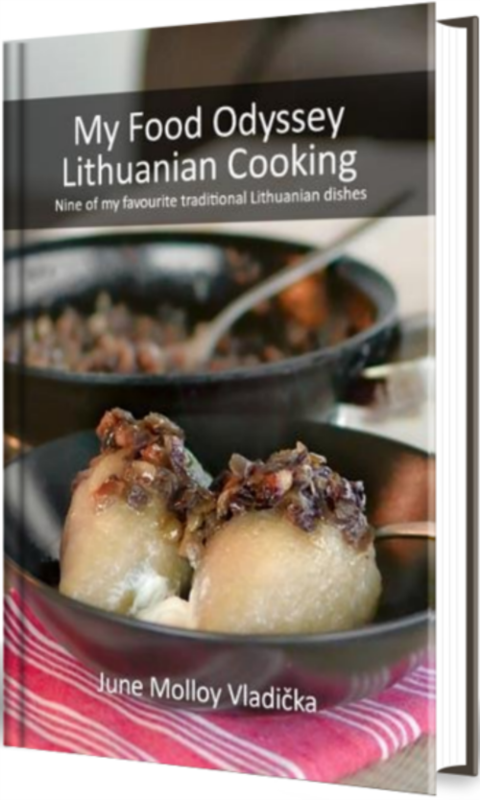 I live in the Lithuanian countryside with my wonderful husband, Arūnas. I like to grow vegetables and go for long walks with the dog, but mostly I like food - thinking about it, talking about it, travelling in search of it and, of course, eating it. I try to cook everything from scratch using local ingredients. Please have a look around - welcome to My Food Odyssey. © June Molloy Vladička and My Food Odyssey, 2013-2018. Unauthorized use and/or duplication of this material without express and written permission from this blog’s author and/or owner is strictly prohibited. Links may be used, provided that full and clear credit is given to June Molloy Vladička and My Food Odyssey with appropriate and specific direction to the original content.